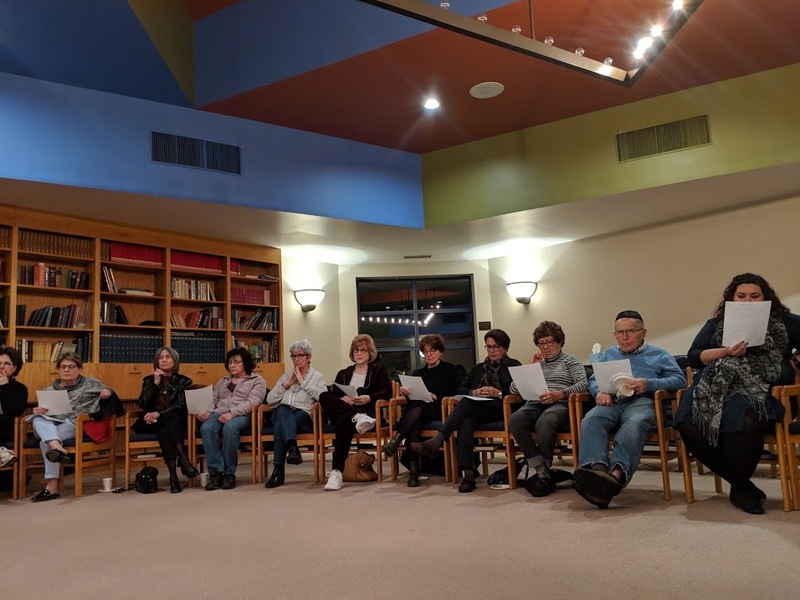 On Monday Night November 5th we hosted an evening session called “Introduction to The In[HEIR]itance Project” at Beth El Synagogue in Omaha, NE. 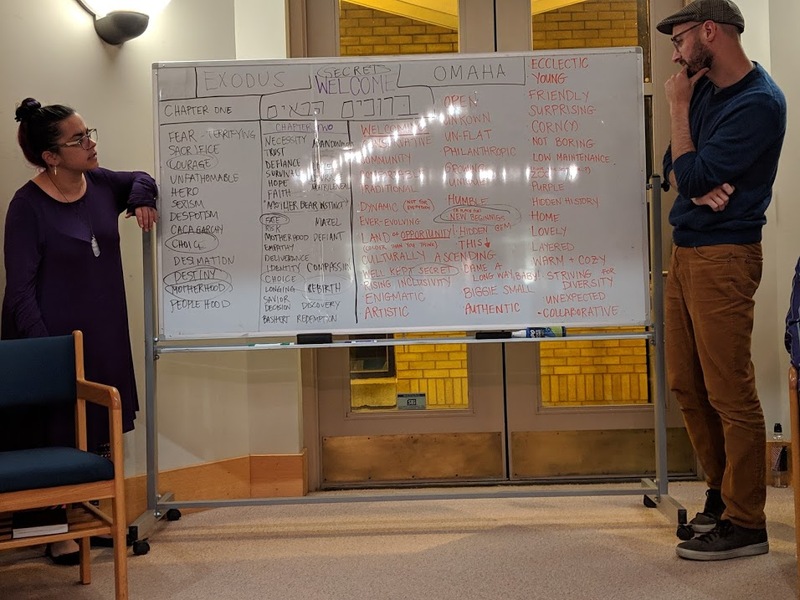 We had over 40 people attend to learn more about the project and hear how they can get involved in the process in Omaha in 2019! We were very lucky to have Ozzie Nogg write about her experience with us that night to share with our IP community at-large. 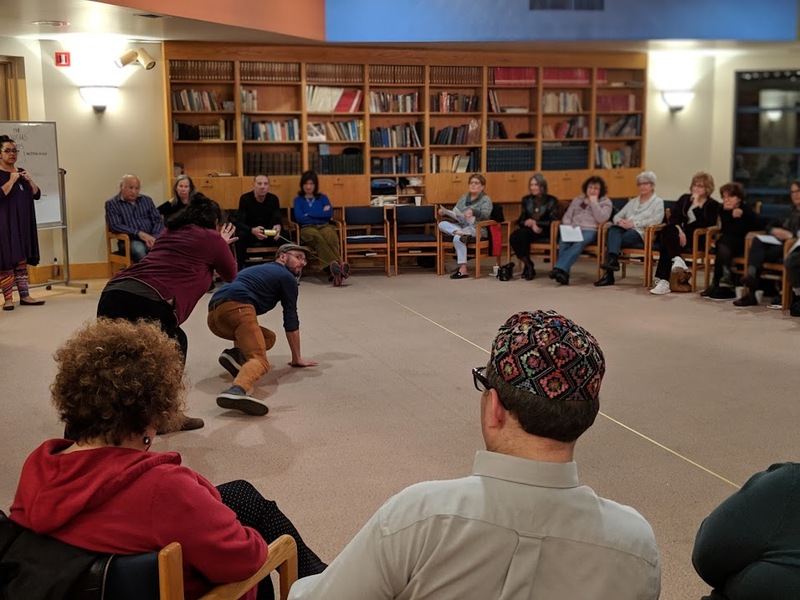 So there we are, on Monday evening, November 5, 2018, in the chapel of Beth El Synagogue in Omaha, NE, sitting in a circle (I didn’t count heads, but forty or fifty of us feels about right) eager to hear more about the Inheritance Project’s Exodus Stories from Jon, Chantal and Ari. And there they are, on Monday evening, November 5, 2018, in the Show Me Center in Cape Girardeau, MO, sitting on bleachers (at what is described as a massive rally) eager to hear more about making America great again from Limbaugh, Hannity and Trump. In Omaha, we share words that describe this city in which we were born or to which we came from other places. Welcoming. Friendly. Surprising. Warm. Diverse. Family. Home. We read passages from the Book of Exodus that speak of Pharaoh ordering the death of Hebrew baby boys; of the mother who hides her infant son in a basket and lays him in the reeds by the river; of Pharaoh’s daughter who shows compassion for the weeping child. And what words does this narrative evoke in us, sitting in the synagogue? Danger. Abandonment. Momma bear instincts. Risk. Courage. Defiance. Hope. 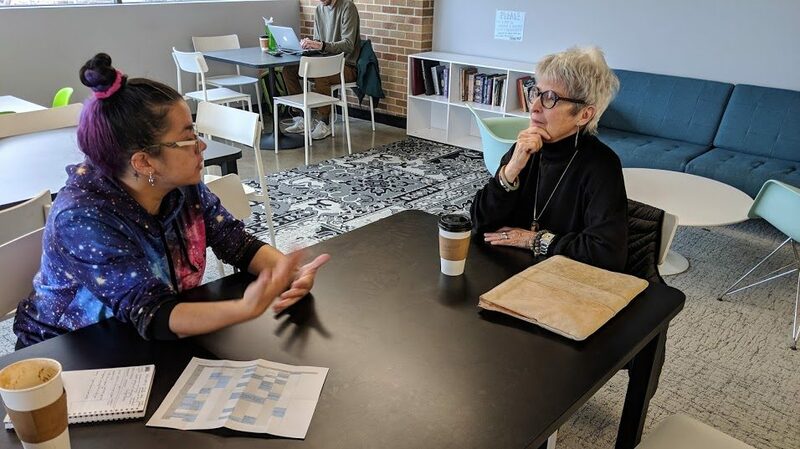 Chantal and Ari (aka Shifrah and Puah) breathe life into our words and deliver a tiny Exodus drama in which two volunteers arrange themselves cross-legged on the floor and immigrant Jon joins them, happy to find himself accepted in Omaha, his new home. Jon grins. So do we. In Cape Girardeau, the people share words, too. Build the wall.End birthright citizenship. Knock the crap out of ‘em. The narrative written by Trump gives birth not to a caravan of asylum-seeking immigrants from Central America but rather to: An invasion of drug dealers. Blood-thirsty MS-13 gang members. Not good people. When they throw rocks, shoot. An infestation of dangerous dangerous dangerous criminals. A national emergency. THIS MUST STOP. SAD. The men and women in the Show Me Center whoop and cheer. Only 555 Interstate miles separate Omaha from Cape Girardeau. Citizens of these mid-Western towns are neighbors, right? Speak the same language, right? Apparently not. Because when we and they tell immigrant stories of men and women and children wandering the wilderness, in search of the Promised Land, it’s the Tower of Babel revisited with humanity divided into groups, unable to understand one another. Talk about sad. I write this on November 7, 2018, the day after the mid-term elections. The blue team and the red team still duke it out. Oh, where are the Youngbloods when we need them? Come on people now smile on your brother everybody get together try to love one another right now. So listen up, Jon, Chantal, Ari and Company. As the Crone of Beth El (and a direct descendent of Serah bat Asher, the keeper of stories, no kidding, it’s true) I have elected you The Omaha Young Bloods. Take your energy, enthusiasm, intelligence and talent, listen to the voices in our community and create an Exodus story to serve as a worthy inheritance for our kids and grandkids. And please take me with you.